Renting a Room? Watch Out For These Things! If you are looking for a room to rent, it is already a well known fact that Roomz.asia team has got your back. Our Roomz + services give support to the landlords by helping them manage their units and we also help tenants find their ideal rooms, but over the time we realized Continue reading Renting a Room? Watch Out For These Things! Posted on November 22, 2017 November 22, 2017 Author TeoCategories For Landlords, For Tenants, GeneralTags apartment, house, Kuala Lumpur, landlord, locatio, Malaysia, rent, rental, renting, room, Roomz Asia, tenantLeave a comment on Renting a Room? Watch Out For These Things! Is Video Really Helpful in Rooms and Apartment Rentals? So a few weeks back we introduced a new video tour option to make life easier for all the potential tenants as well as landloards to rent rooms across Malaysia. We never imagined it would be so challenging. Continue reading Is Video Really Helpful in Rooms and Apartment Rentals? Posted on December 4, 2016 Author TeoCategories For Landlords, For Tenants, General, New FeaturesTags landlord, platform, room for rent, video tourLeave a comment on Is Video Really Helpful in Rooms and Apartment Rentals? Rental negotiation can be pretty tricky if you do not have the know-hows. A poorly-prepared landlord would not be able to offer good counter-offers to convince his or her tenant that the rental was reasonable. In the worst case scenario, he or she might even miss a chance to grab hold of a good tenant due to poor negotiation skills and a lack of perception for long-term gains. Establishing a good relationship with your tenants can be very rewarding. As a landlord, are you aware of the issues faced by your tenants, such as maintenance, safety etc? 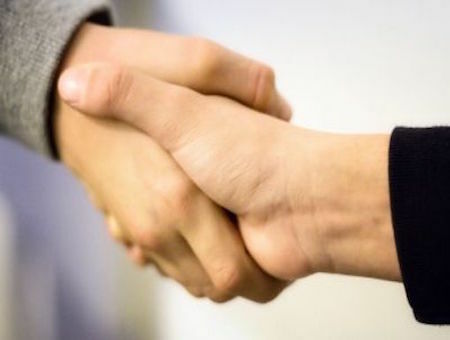 While the landlord can do everything to satisfy the needs of their tenants, remember that MUTUAL RESPECT goes a long way to maintain a healthy and happy landlord-tenant relationship. Below are a few things that should be taken into consideration when managing the relationship with your tenants. Going through all the hassle to do a background check on your potential tenant can really pay off. We know there are always some tenants out there who are not trustworthy, and dealing with them can give you, the landlord a really hard time.